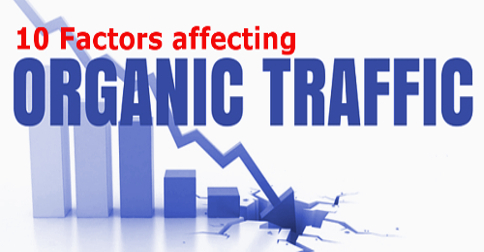 Sudden dip down in organic traffic is alarming; be it an SEO expert or an entrepreneur getting to the exact cause may be difficult at times. The moment you see fluctuations in organic traffic and keyword ranking, make sure you are ready to take action rather than waiting for better times. Unlike paid search results, organic search has its own challenges and techniques to sustain its place in keyword search result. Most SEO experts, therefore, refer to Google search console and Google analytics to understand the factors and the possible reasons for such change in trends. Due to various factors influencing the decline in traffic, at times it becomes a bit too hard to find the exact cause affecting the organic search. Page indexing issues: With the little search on Google, you can get various websites available to help you gauge the correct page indexing result for your website. In case your most important pages doesn’t appear in SERP’s, you have one of the possible triggers to work on. Now, go back and check the robots.txt files, ensure all important pages and directories are unblocked. Watch the industry trends: With the change in market dynamics, there are only few industry sectors around the world which may not be affected by the sudden recession. Keep monitoring your competitors to see if the adverse conditions have the same effect on them or not. Website content: Content is the king and remains one of the key elements of a successful SEO strategy. Having the right set of content at the right place is very crucial. 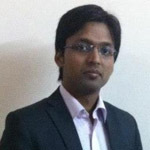 Content should be unique in nature, informative content with timely optimisation always helps. Most companies often make the mistake either outsourcing content thinking, writing articles and blogs frequently will help or ask internal junior folks to get some article, well both the cases are not apt. Content strategy should be well defined and need experts to get the required visibility. 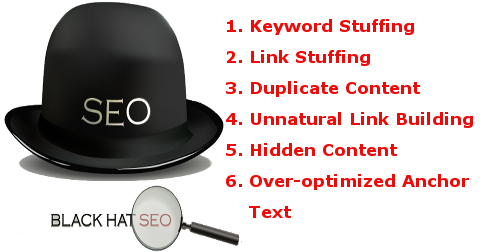 Black-Hat SEO tactics: If you are using black-hat SEO Techniques to drive traffic to your website, like keyword stuffing, link stuffing, hidden text, unnatural link building and irrelevant incoming links etc., all of these can adversely affect your organic traffic. Website updates or redesigning: Organic traffic may be fluctuating due to the recent website changes. Be patient as it takes Google some time to re-crawl and then re-index these pages, it doesn’t work out overnight. In case you have removed the pages from your website or updated new URL structure, it is very important to have a redirection strategy in place. Bot filters: In case you are eliminating all known bots and spiders in Google Analytics. Implementing data markup: Implementing structured Data markup may look like a one-time task, but if you don’t monitor it over the period of time you can land up in trouble. Outranked by Resellers and Affiliates: In order to gain better visibility, companies may opt for the affiliate program or look to have various resellers, which is a very common scenario. Interestingly, this scenario takes an ugly turn when you are outranked by your reseller for the set keywords. Confusion with URL: Have the proper content strategy in place with planned keyword mapping. Never get confused and try to optimize two web pages with the same keywords. Web usability and accessibility issues: One can never ignore the web usability issues; some websites are not at all user-friendly or not updated for ages. Since customer behaviour tends to change with times it is very important to make the website user-friendly and easily accessible from the web and mobile. In addition to these above tips, you may like to monitor the bounce rate of website traffic to determine the performance of your site. Once, you follow these checklists with quick audits and website analysis the probable causes can be identified. So, just relax and work on it to get back with the top search result.